On Tuesday evening, the graphic visuals of a group of men storming a hospital in Gurgaon to shoot two people left most television viewers shocked. They might have been more shocked if they knew the dispute over which the crime was committed was the parking of commercial vehicles. Satbir Singh and his son Jogender from Khandsa village had been admitted to the Sunrise hospital in Gurgaon for treatment for their injuries, which they suffered when they were assaulted over the dispute parking of commercial vehicles, reported the Times of India. A group led by the duo, and one reportedly led by Satbir's rival transport group, had clashed outside a local court during which the father and son had sustained injuries. 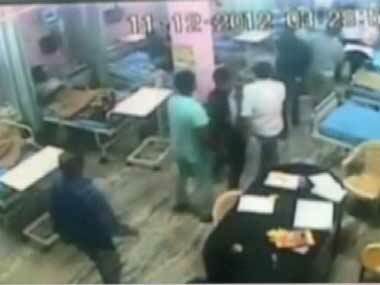 CCTV footage from the shootout at the Gurgaon hospital. Screen grab from ibnlive. According to CNN-IBN, Jogender has succumbed to his injuries while his father is still in the ICU. As per a report by International Action Network on Small Arms, only around 15 percent of guns in the country may be licensed and the bulk of those used in shootouts like those used in Gurgaon and the recent shootout that killed liquor baron Ponty Chadha are unlicensed illegal firearms. As Binalakshmi Nepram, a leading anti-gun campaigner and secretary general of the Control Arms Foundation of India (CAFI) told Firstpost earlier in Delhi, like many parts of north India, it isn't safe to get into an argument anymore given you don't know if your opponent is carrying a gun. And the growth of a culture of waving guns to solve disputes, unhindered by the fear of law, can only get worse with more people seeking permission to legally hold weapons in order to protect themselves from those who possess them illegally. The shootout in Gurgaon, while horrific, is yet another reminder that we need stronger action against those found possessing weapons illegally. The pervasiveness of a gun culture, if tolerated and allowed to grow, can only worsen with time and will only spread if unchecked. 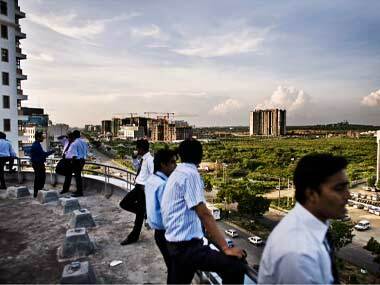 The great Gurgaon experiment: Has it failed? 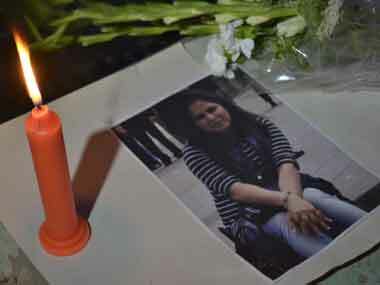 Gurgaon BMW crash: Another 'big money' cover-up?